I woke up at 6.40am and headed down to contempo cafe for breakfast. 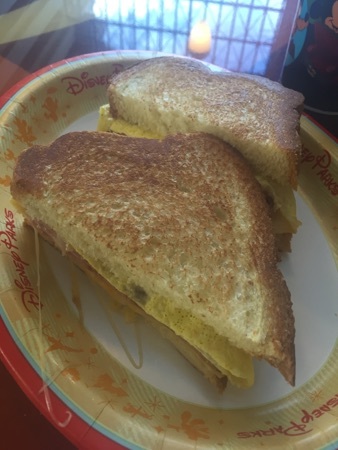 I had an egg, ham and cheese breakfast sandwich which cost $8.19. This was really good, loads of filling and could have been shared between 2 but as I was on my own i ate it all. Here you can see some of the filling. 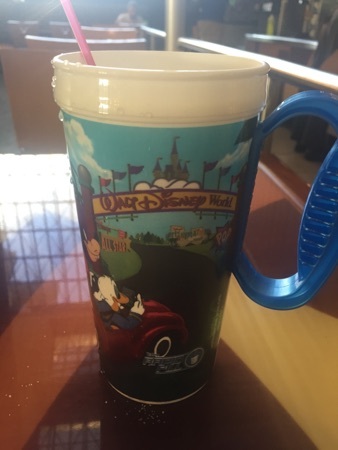 I got a coffee in my refillable mug then went for a walk round the resort. I just love how beautiful this resort is. 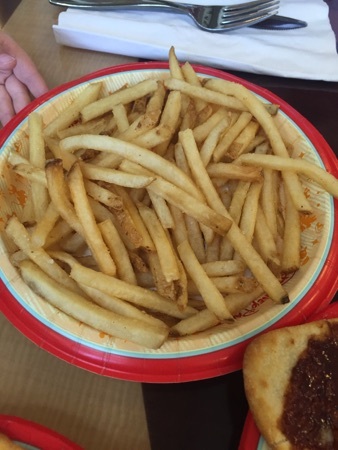 We spent an hour or so in the pool before getting lunch again at the contempo cafe, it's one of my favourite counter services at Disney. 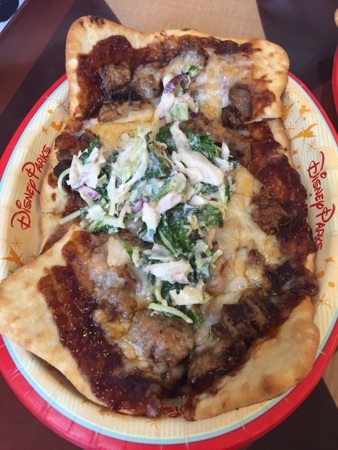 We had a pulled pork flatbread. With a side of fries. We shared this amongst the 3 of us. Both flatbreads were very good, the coleslaw on the pulled pork one was lovely and I loved the mayonnaise dressing on the chicken one. 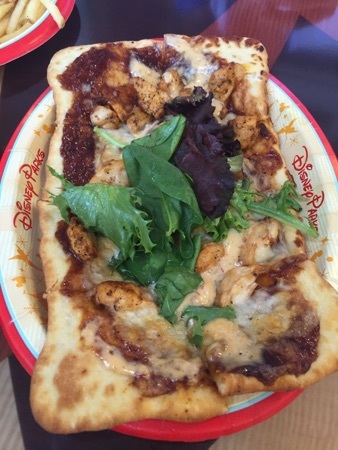 This came to $27.66 and we all thoroughly enjoyed it. We then got the monorail over to Epcot as we had a reservation for dinner at teppan edo. 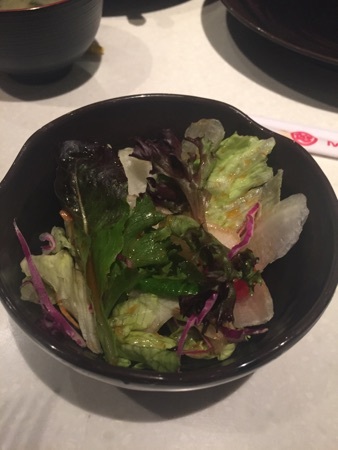 Everyone got given a salad to start, this was very nice and had a nice soy dressing. 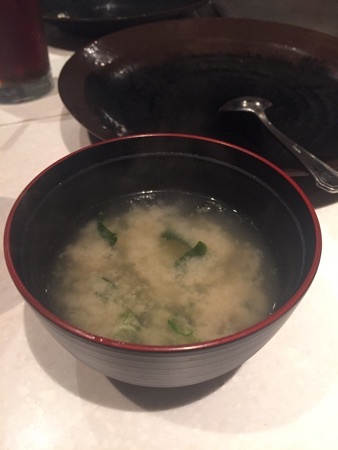 Kids were given a miso soup to start, this wasn't really to DDs taste so it didn't get finished. The main food was the. Dished out in stages; we got the vegetables which were very tasty as usual. 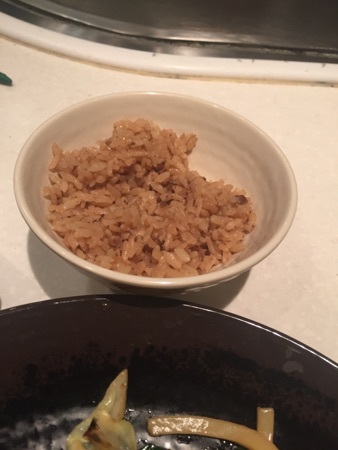 The beef fried rice was handed out shorty after. 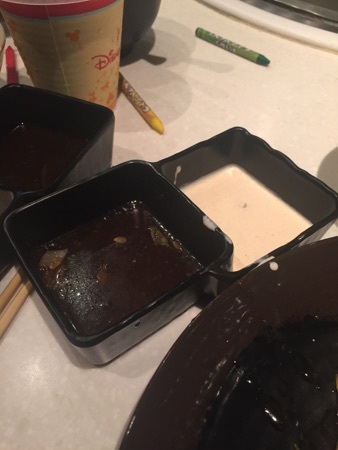 There were 2 dipping sauces, one was a soy and ginger sauce and the other was a kind of garlic mayonnaise type, both were very good and I used all on mine and DDs. DD and I both got the chicken, this was lovely and went really well with both sauces. 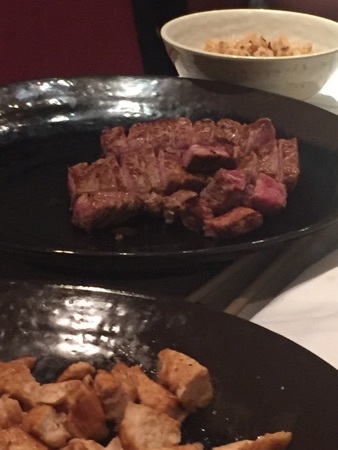 DH had the strip steak and said it was delicious. He had it cooked rare and it looked lovely. We didn't get desserts as nothing took our fancy. 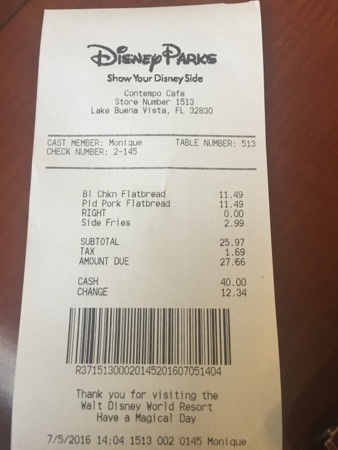 Our meal came to $83 which we thought was pretty good. 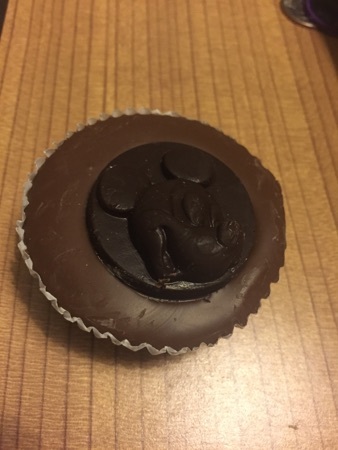 When we got back from epcot I had the Mickey peanut butter cup I got using a snack credit the other day. This was really good but abit too much chocolate. 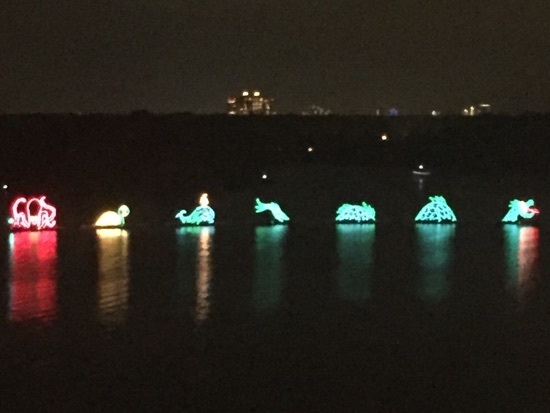 Now sat watching the electrical water pageant again from our balcony. New Photo Added by missdopey - 6 Jul 16 3:18 AM. 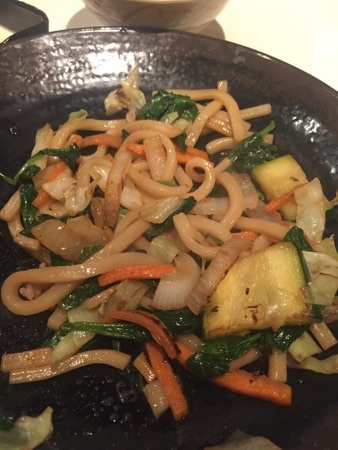 Love Teppan Edo, always tasty and fresh! All looks wonderful, and Your view. WOW! Greek Isles,Canaries, Balerics,Europe in between. I'm drooling into my cornflakes . 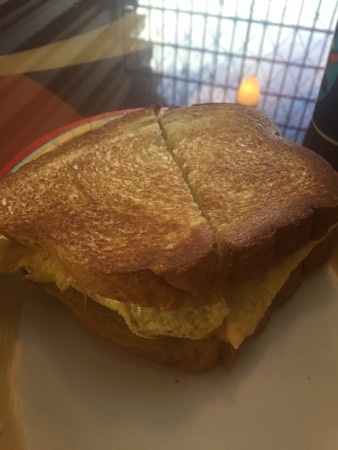 Could just eat that breakfast sandwich. Teppan Edo looks yummy scrummy! 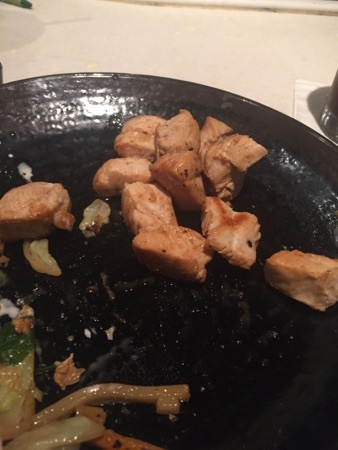 I loved our meal in Teppan Edo, the food was delicious and the atmosphere in the place was really good. The tricks done by the chef were great fun too. We had the green tea cheesecake for pudding which I was a bit sceptical about, but it was one of my favourite puddings when we were there.